Dundee United have signed 29-year-old Nigerian striker Edward Ofere until the end of the season, subject to international clearance. 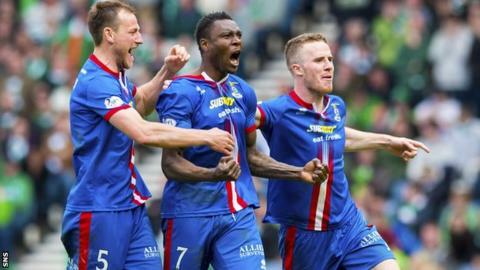 Ofere helped Inverness Caledonian Thistle to the Scottish Cup last season scoring six goals in 13 appearances. He has recently been playing for Turkish club Boluspor and has represented Nigeria three times. Ofere told the United website: "My aim is to help the team and play my part in gaining vital points." Head coach Mixu Paatelainen added: "Edward is a powerful striker who will add to the options we have available up front. "I am delighted to bring him to Dundee United. "He will improve the squad and aid our determined fight to climb the table."